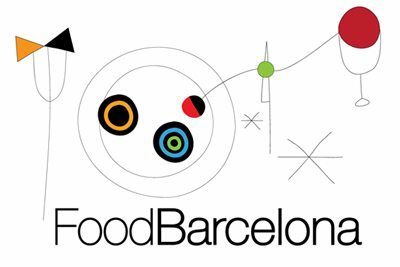 FoodTours Barcelona’s Catalan Gastronomy tour is an informative and well balanced intro to Barcelona’s local flavours. I’m reluctant to review Barcelona food tours on here. I’m simply not the target audience, which usually comprises tourists in search of an easily digestible, bite-sized intro to local flavours and food facts, not pseudo-know-it-all food writers. Nevertheless, food tours can be enjoyable, even for jaded old smartarses like me, under the right circumstances. These include the presence of an enthusiastic guide, an up-for-it group and abundant libation. Food Tours Barcelona’s Catalan Gastronomy Tour ticks all the boxes. Company owner Duncan invited me (full disclosure: on a freebie) and two of my friends (Ben from Driftwood Journals and Suzy from my blog’s near namesake Foodie In Barcelona). Our guide, Zara, had the unenviable task of leading three local writers around but was more than up to the task: I think we all learned something. And we definitely all had fun. The tour is based in the neighbourhood of Sant Antoni, which once stood outside the city walls and was a source of much of the produce sold within. A short walk took us to the area’s eponymous market, which offers a more authentic experience than the tourist-clogged Boqueria. Cheeses, quince jelly and cured hams were nibbled from the stalls; nuggets of food trivia were passed around. The snacks triggered a thirst but fortunately the next stop was to slake it: vermut (vermouth) and tapas, a classic pre-lunch ritual, set in a pleasant bodega with winebarrels for tables, where we duly rubbed our bread with tomato and gorged ourselves on olives and anchovies. The tour presents Catalan and Spanish food in an order of increasing sophistication as it progresses. The exact reverse could be said of the participants. There was more giggling on display than dignity as some of us tried to drink from a catalan porró (wine pitcher) in the traditional manner. I’ve sacrificed more than one shirt to the porró ritual in the past so I chickened out. Zara then led us to a modern tapas bar then a restaurant try some contemporary Catalan cooking. The idea was to get a taste of modern dishes inspired by Ferran and Albert Adrià, of the now-closed but still-legendary elBulli restaurant. There are, to be frank, only distant echoes of elBulli’s bonkers creativity and insane attention to detail to be found in most Barcelona restaurants. And just as well; the results of such ambition in the hands of less exalted talents would be appalling. Regardless, the antepenultimate and penultimate legs of the Catalan Gastronomy tour successfully covered more elaborate cooking in line with the narrative. And there was cava, obviously. And more wine. Guide Zara is a very knowledgeable wine buff and well, it would have been rude not to follow her suggestions. The last stop was for a non-alcoholic but very sweet drink: tigernut orxata. These came with the delicious but unfortunately named fartons, a local pastry. We left very well fed but far from fed up.